SellingRestaurants is honored to be given the opportunity to sell this classic neighborhood bar that's been operating and owned by the same family for more than 50 years. Enter the bar and you'll be greeted by a professional bartender who plays the roll of a classic 60's bartender with white long sleeve shirt and vest! The bar is in great shape, classy and has attracted a permanent guess list. Don't let the outside building fool you because it looks like another other bar from the outside...no windows...single door entry...When you walk in, you find it to be clean and rather nice. You'll be pleasantly surprised. This is the bar folks come to relax and drink a martini with their buddies after a great day on the golf course or after a special event in the area. 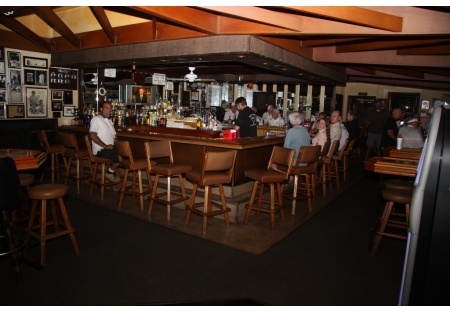 The bar is known for providing good service in a relaxing, quite atmosphere. There is even a small library where customers can pickup a book to read while zipping their favorite drink. This is not a young person's type of bar. This is not a meat market per se; rather it is a bar for the more intellectual curious folks along with the more mature crowd. There is a smal outside patio for smokers. It is absentee operated. A working owner could certainly help the bar's performance as any working will usually do. This bar has solid historical and recent earnings performance supported by tax return and detailed profit and loss statements. There is room to improve the earnings. Pour costs are at nearly 37% and labor costs at 28%. So don't miss this baby! Oops, you missed it! It is under contract already it was that nice!This is a Paramount Restaurant Brokers, Inc. DBA SellingRestaurants.com listing.